Interview with Bahman Kalantari Dr. Bahman Kalantari discusses software he has developed through his research into polynomial root-finding. The Rise of Polynomials: A polynomiograph of z3 - 1 coming to life through 3D animation (and music). Valentine's Day Special A heart themed animated polynomiograph. 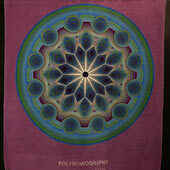 Store: Exclusive, original Polynomiography merchandise is now for sale! Visit the Polynomiography Store to get yours today! More News: Visit Bahman Kalantari's personal home page to learn additional news and other information related to polynomiography. New Book Announcement: "Polynomial Root-Finding and Polynomiography" by Bahman Kalantari. 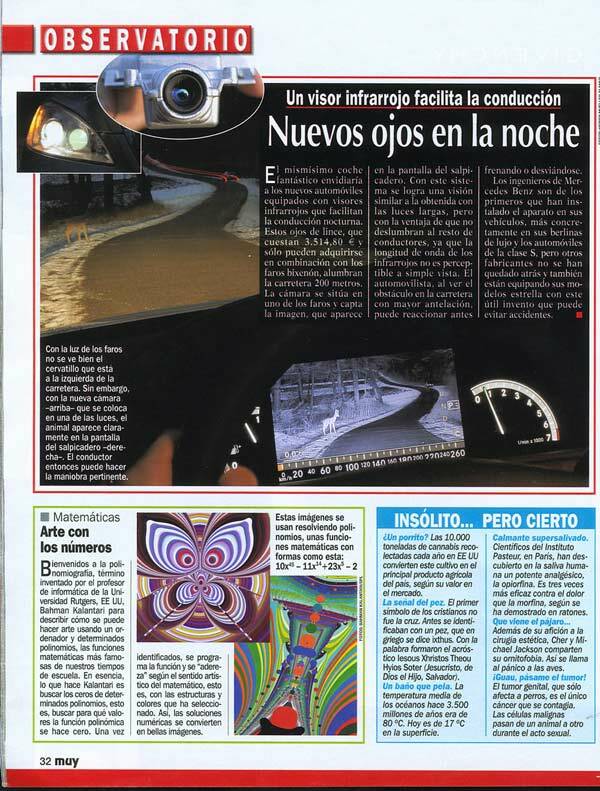 Article: Polynomiography is featured in the April 2007 edition of Muy Intersante. Spain's popular science magazine. 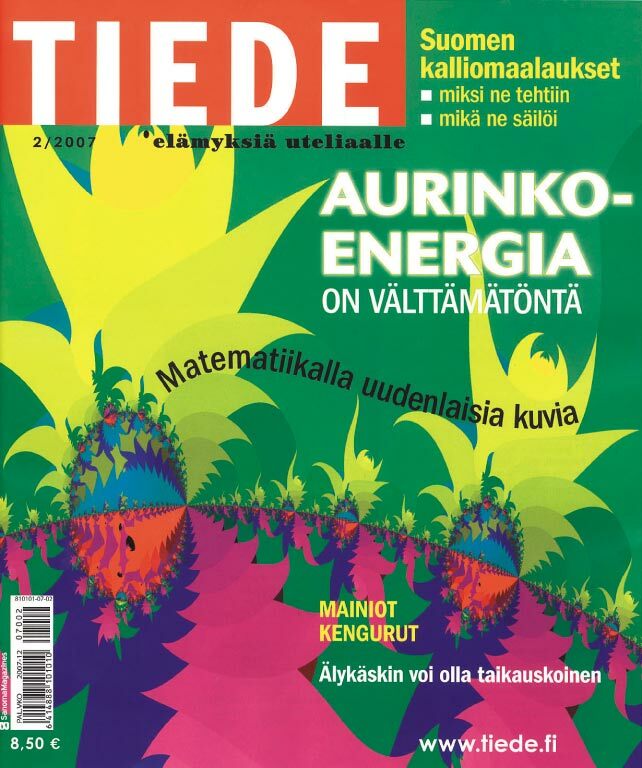 Cover: A polynomiograph featured on the February 2007 cover of the Finnish science magazine Tiede. Cover: Kalantari's Polynomiography on the cover of Princeton University Press book Fearless Symmetry: Exposing the Hidden Patterns of Numbers. 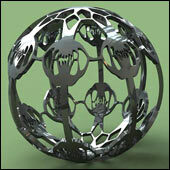 Exhibit: Kalantari's Polynomiography artwork part of traveling art-math exhibit in France and Greece. 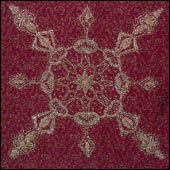 Below are Carpets, Tapestries and Sculpture inspired by Polynomiographs. Click on an image to see the item and its inspiration. All artwork licensed under a Creative Commons Attribution-NonCommercial 4.0 International License.